Last night I had plans to get out a post while things were still fresh in my mind, I ended up going out for a meal with Dire instead, which was a lot more fun. I almost didn't get a post out today either, I think I've caught whatever bug Dire has, I have terrible allergies and a cold only makes things more complicated. Anyhow, Frostfell is here in EQ2! That means tons of crafting and questing! One of my favorite times in any MMO is Frostfell and that means taking some time between leveling to take part. 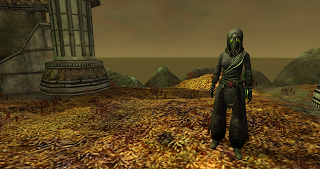 Over the past weekend I didn't think EQ2 would take up much time because mercs were wonky. I ended up changing my spec and I was just ripping things up without needing one. I swapped to a really all over the place solo spec I threw together. I don't know if that helped honestly but things really started to fall into place. I've kept this spec and managed to progress past the Plane of Innovation, Plane of Disease, through the Crypt of Decay and into Bastion of Thunder. 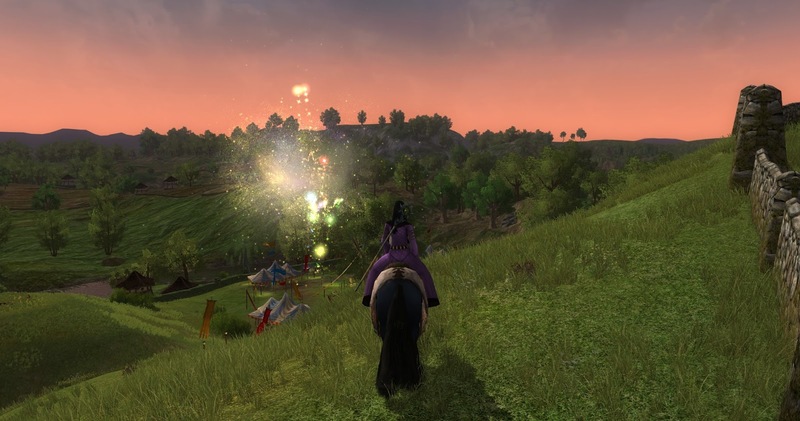 I really started having a lot of fun and mostly played EQ2 over the weekend. I can't say if mercs being crummy/bugged was fixed, but them being free was changed today. I guess that free mercs bugging out was unintentional, meh. I thought it was some awesome subscriber perk. The quests through the instances are fun and I have not had many issues making my way through them. Lots of upgrades, most all of your xp will come from turning in the main story quests. Leveling is fun still and it is cool to see what is around the next corner. The boss fights do have some annoying mechanics but nothing hard, the wiki explains them so you can do them easily. 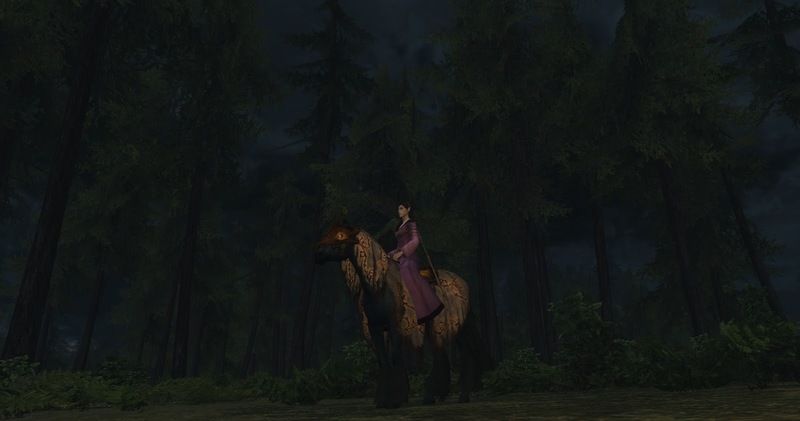 I also took some time to work on my gathering quest to get the pack pony, cloak and Qho merc, still chipping away at it. 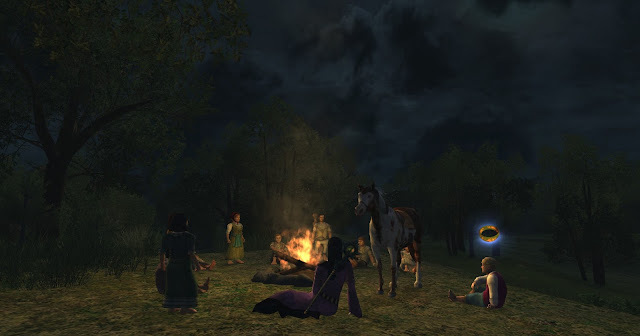 A very relaxing way to spend the evening working on the Gathering Obsession quest chains. I really wish I had started it earlier on this character so I could benefit from the pet that gathers regents, great at holiday time! While this expansion is not huge, there is a lot of stuff to do, lots to see, lots of cool nostalgia. 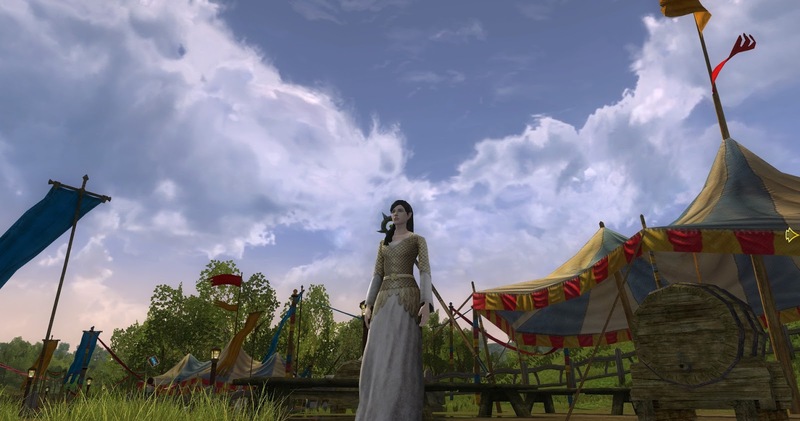 I think it is one of the best that has been released for EQ2 in a long while. I can't seem to tear myself from it. I did manage to play a couple of other games this weekend though! In LoTRO I went after a few things I really wanted, a holiday mount and some cosmetic clothing. It is enjoyable but the holiday events have cool downs which is rather annoying. Instead of coming back to them I tend to log off and do them again later instead of staying on for long chunks of time. 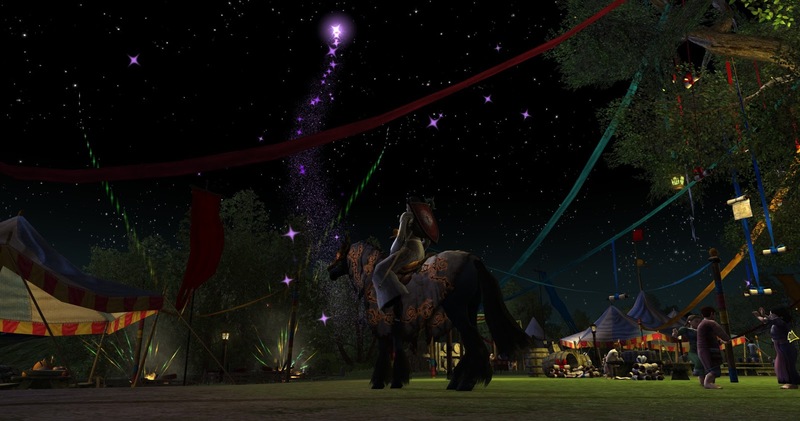 I have never really delved into the fall festival and it is really a delight besides cool downs. I loved the quest where Bingo Boffin and his family invite you to share scary stories, a really cute story and I read every single part of it. I do wish there was more to it, maybe there is but I haven't unlocked it yet. In WoW I also got a little further in the mount chain/achievement. Not much further but I crossed off a few quests. There is plenty to do here, so much that I will probably not catch up as it is not the only game I play. Dire has gotten through so much more than me, he keeps telling me about all this neat stuff that I keep adding on my lists of things to do once I catch up, lol. My son is playing too, he started over on a new account and is trying out different characters to play. I do wish I could mentor down and run around with him, I could make an alt but he plays in spurts and I would probably fall behind. More of my travels through the expansion in days to come, if I were not feeling so terrible I'd share more. Safe adventures! That awesome mount I was thrilled to get! A lovely outfit I grabbed. 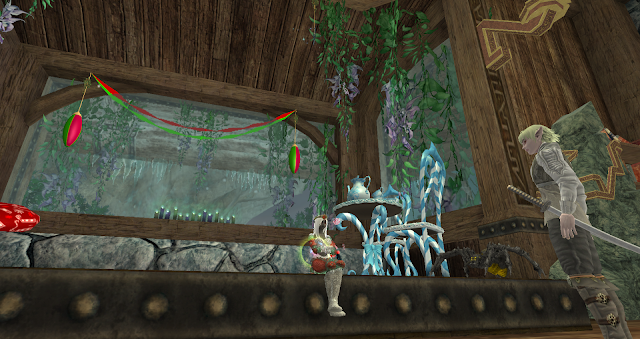 Decorating one of my homes for Frostfell! I'm loving PoP so far. I dinged 106 last night, got 50k faction with the Yrzu or whatever they're called and moved the Sig line on to the point where the Collosseum opens up and along with it the rest of the instances. Even with the little I've seen I think it's the best since Age of Malice, which I thought was excellent. After the patch my Merc is completely back to normal. I like to have her out for the Verdict, which shortens fights a lot, especially bosses, but I agree that there's no real need for a merc, or not in the fights I've had so far. Gratz on 106! I hit it too before I went to bed. It is the best they've had in some time, a real nice change for sure. 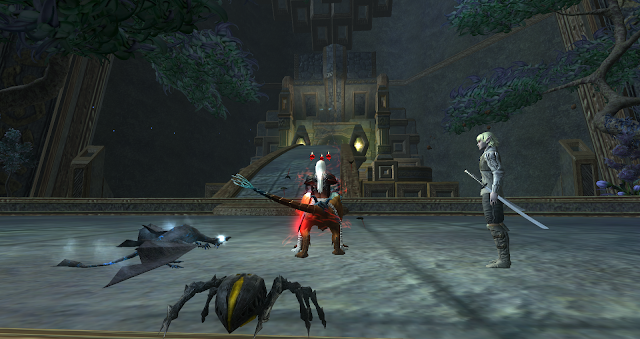 It is nice having the mercs back to normal, I like having mine around in dungeons always.